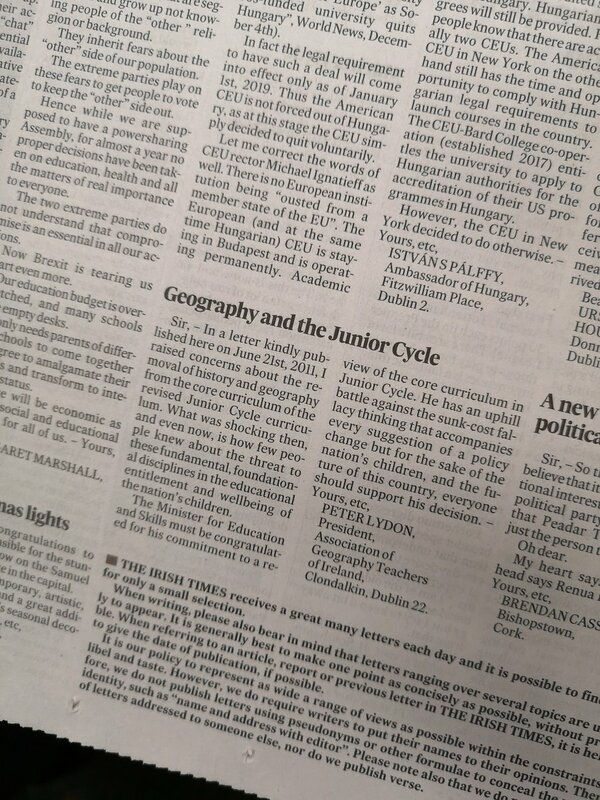 Real World Geography is a new set of resources, which has been developed for the new Junior Cycle Geography in Ireland. Written by experienced authors Peter Lydon and Tara Fitzharris, Real World Geography is fully aligned to the new specification and provides essential planning and assessment supports for the new Junior Cycle. Each topic's stimulating content focuses on developing students Junior Cycle key skills alongside developing students' Geoskills and Geoliteracy. There has been a lot of interest in the new series, and Folens have gone all out to support this curriculum change with a very comprehensive series of support materials, including digital materials, a teacher guide and a complete student handbook to accompany the materials in the textbook. I've been interested in the position of Geography in Ireland for several years now, since I met quite a few Irish colleagues at an Erasmus course that I was running at Salzburg University back in my freelance days. One of the authors: Peter Lydon, is a great advocate for geography in Ireland, and this letter of his makes a claim for the subject retaining its place in the curriculum. I got hold of inspection copies of the books thanks to Folens and Peter Lydon. There is a Workbook and also a Teacher's Guide. My KS2 colleague: Martin Bramley and I were very impressed by the book's contents and the support materials and have bought a set for teaching this year. We will share some of the outcomes from this work as they emerge.